Being in business is like running a marathon – you’d better get healthy for business as you need to have the fitness and stamina to go the distance. Really? It does feel like I’m running a race but sometimes it’s more an obstacle course or cross country rather than a smooth marathon. Either way you need to be healthy to succeed. No marathon runner lives on fast food and alcohol alone… but for many starting business owners this is the staple diet. Not surprisingly, there is a lot of fresh produce with protein and nuts…. and very little processed food. So when I found out I had a tumour my number one priority after surgery was to get better, recover and be healthy again. Healthy enough to do the things I love with the people I love the most (my husband and son). And I love to work, I love creating and selling products that make the lives of people better, so I needed to get healthy for business. Step one was a lot of reading…. I know that my tumor was benign so technically it’s not cancer, and it was removed completely … But I did want to find out how tumours start in the first place. So I started reading about cancer and why it happens to people. I learned quickly that there seems to be a strong connection between nutrition and the increase of diseases like cancer. The more I read the more I came to the conclusion that while my diet had been OK, it lacked in leafy green vegetables and fresh fruit. Both these types of produce are important to help your body fight the natural occurring cancer cells in your body. 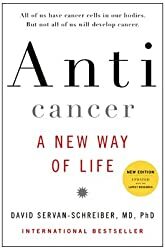 My favourite book has been ‘Anticancer: A New Way of Life‘. David’s story resonated with me because he uses his scientific research background to find what helps your body to stop creating cancer cells after he was diagnosed with brain tumours at an early age. Not surprisingly, nutrition and diet play a large part in his book. Organic vegetables, fruits and grass fed beef is what I remember to be the staple in his diet. 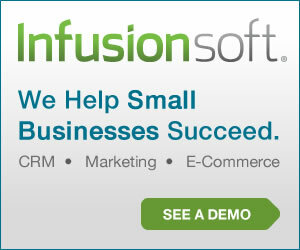 In business it’s all about taking action. Goal setting and dreaming about a vision and mission is important but useless when not followed up by action. It’s action that creates the opportunities. It’s action that builds relationships with other people who can become partners, suppliers, advocates, clients or supporters. In my personal life this is equally true. No use doing all this research about ways to help my body become stronger and fitter if it isn’t followed by an action plan. I started adding in more fruit and vegetable into my diet and even made green smoothies for breakfast! I actually really like the taste and by adding some chia seeds and almonds it gives me the crunch I crave without grabbing a sugary muesli. A friend gave me bags and bags of leafy greens! Adding some strawberries to kale, parsley, mizonu and a banana for sweetness. Yum!! We cut back on eating meat – now only 3 times per week (on average) and we try to source grass fed beef as much as possible. This is another thing I learned from David; grain fed meat can trigger inflammation responses in your body which in turn may trigger cancer cells to grow. For some reason this response doesn’t happen with grass fed beef. The last blood test I did was 2 months ago to check how my kidneys and liver are dealing with the high levels of medication. All functions were within normal levels, but not exceptional. Although I haven’t done any blood tests lately I feel healthier so I have great hopes that the next blood test will show even better results. I also noticed that I am losing weight (not the main goal but a nice side effect). I sleep better and I feel like I am more focused on what I need to do. All this has to be great for my body as well as business! I really feel I’m getting healthy for business… A win-win in my books. My next step is that I’d like to start juicing… I bought a juicer to get even more nutrients from plants to really kick-start my immune system to keep my body healthy and happy.